Gov. Gretchen Whitmer’s proposed gas tax could cost you about $300 more a year at the pump. Is it the best way to fund the fixes needed to save our crumbling roads? (WXYZ) — Gov. Gretchen Whitmer’s proposed gas tax could cost you about $300 more a year at the pump. Is it the best way to fund the fixes needed to save our crumbling roads? 7 Investigator Heather Catallo sat down with the governor, one-on-one, asking the questions you have about our roads. When the plan was first announced, many people asked if we had just passed a road plan in Michigan. Well, we had, but the last plan didn’t even come close to covering the $2.5 billion price tag we need to spend each year in order to stop having to dodge potholes and crumbling concrete. During their interview, Catallo read an email from a 7 Action News viewer to the governor, asking why the plan passed in 2015 by Gov. Snyder increasing registration costs enough. The $1.2 billion from the 2015 deal was only enough to cover the cost of state roads. 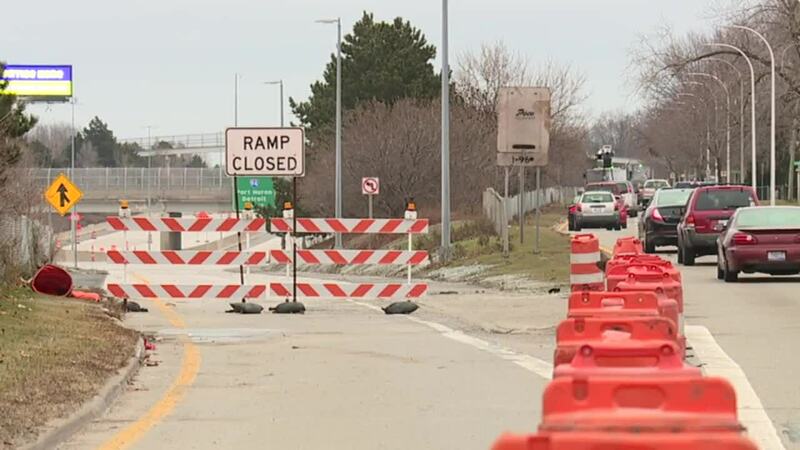 Both Whitmer and transportation experts say Michigan needs to spend $2.5 billion a year in order to rebuild the worst roads. Her plan calls for increasing the gas tax by 45 cents – for a total of 71.3 cents a gallon. During her campaign, she didn’t mention a gas tax. “Oh no, not at all,” Whitmer said. “That debate and that moment was my opponent trying to disparage what I’ve put on the table and I had not put a plan that had a 20 cents – so it was ridiculous – he was putting words in my mouth to deflect from the fact he had no plan. That was ridiculous. “Having a real solution to the magnitude of the problem that we’re confronting is very serious business. This is why I’ve taken a look at all the numbers, I’ve listened to the experts, I’ve worked with the business community and individuals alike, and we’ve put together a plan that actually solves the problem,” she added. Whitmer says instead of tripling corporate taxes or raising the income tax, she realized a user fee at the gas pump was the best option. That constitutionally guarantees the money could only be used for roads and not put in the general fund for bills that are piling up. “The legislature spent $1.3 billion on their way out the door on the last day of session. I’m walking in to an administration where I am going to have to pay the bill for lawsuits that were against the last administration, and the bills are going to come due on my watch,” she said. Whitmer’s plan also calls for changing the funding formula. Right now, the 68-year-old Public Act 51 sends the same amount of money to both six-lane roads in urban areas as it does to two-lane roads in rural areas. “Why is it so important to reconfigure where the funding goes?” Catallo asked. “The dollars that are there now will continue to go through the old act, but I say it’s time for us to re-prioritize, and to ensure that we’re fixing the roads that need it most. The roads where the most people travel and there’s most economic impact,” Whitmer said.